10 Aug 2018 --- Agrana Nile Fruits has inaugurated a new production line for tailor-made beverage compounds, specifically targeting markets in the Middle East and North Africa. 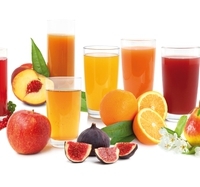 The joint project with Austria Juice, a sister company of the Agrana Group, is a successful endeavor of installing high-quality standards and the innovation drive from European markets to the region, according to the company. Since 2010, Agrana Nile Fruits, based in Egypt, has been established as a successful joint venture between Arana Fruit and Nile Fruits, which offers high-quality fruit solutions to customers in the Middle East and North Africa. This partnership enables Agrana Fruit to deliver inspiring fruit solutions not only to dairy, ice cream and bakery industries but also to the growing beverage market. With the transfer of technical capabilities as well as product knowledge to Egypt, regional customers can now benefit from a localized manufacturing unit and product development in line with the local taste profiles, according to Agran Nile Fruits. At the end of last month, Agrana Fruit extended its presence in the African market by acquiring 49 percent of the shares in Elafruits SPA (Elafruits), formerly known as Frulact Algérie, an Algerian producer of fruit preparations. You can read more on this here. Located in Akbou, Algeria, around 200km east of Algiers, Elafruits is a subsidiary of Groupe Batouche Eurl. The company has a workforce of around 100 employees and generated revenues of approximately €7 million (US$8.198 million) in its 2017 financial year. Agrana Fruit now maintains 29 production sites in 21 countries. Besides fruit preparations for dairy and ice creams, Elafruits SPA also produces fruit purées and bases for the beverage industry. Algeria is strategically an essential market for Agrana Fruit with the highest per capita consumption of fruit preparations for yogurts in the region, according to the company. “This investment is another step into strengthening our partnership with our customers on the African continent. It is essential to cater to the regional needs in creative beverage solutions adapted to the local taste profiles, with proximity and local service levels. Together with our recent acquisition of 49 percent of the Algerian manufacturer ElaFruits, we are consolidating our presence and portfolio in North Africa. And in joint partnership with our agent Food Specialties Limited in Dubai, we are equally well positioned to service the Middle Eastern markets,” says Agrana Fruit CEO, Jos Kleppers.